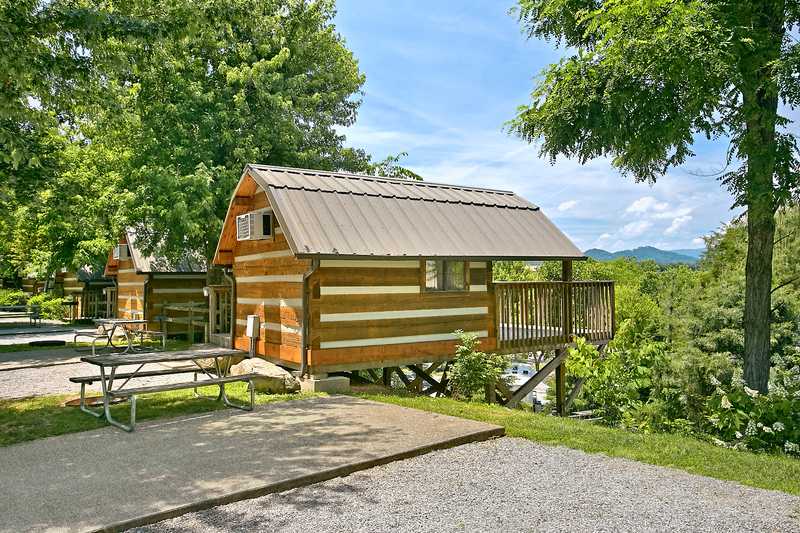 Riveredge RV Park & Log Cabins is located less than 100 yards from the entrance to the Great Smoky Mountains National Park. Nestled in the shadows of America’s most visited National Park, and action-packed Pigeon Forge’s attractions and shopping. If walking or hiking is not your cup of tea, relax and let the Fun Time Trolley service do the driving for you. The trolley actually has a stop at the back of the office, so getting around has never been easier. 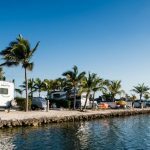 Over 170 manicured sites, which can accommodate RVs ranging from 20 feet to 45 feet, full hookups at each site, and 30 or 50 amp service, cable, and WiFi, with plenty of shade for those hot summer days. Riveredge is a great place to visit, whether you’re a weekend camper, or folks of the adventurous mindset, taking a long road trip across the country. After hiking or shopping all day, come back to Riveredge and relax in the hot tub, or just splash around in the heated pool. 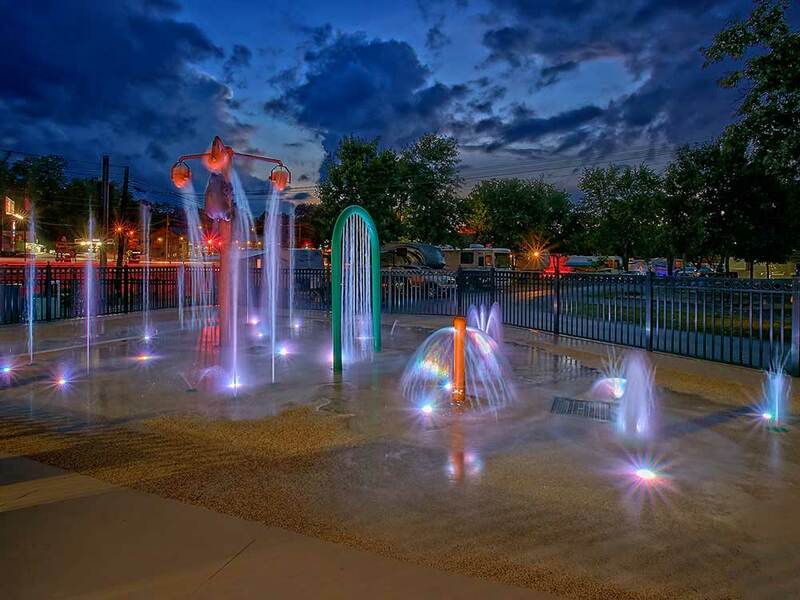 The newly added splash pad is always a hit for the kiddies, as well as some of our bigger kiddies. Plus, don’t forget your fishing pole! You can get a Tennessee license close to our office and enjoy the Pigeon River the way it was meant to be. Two five-star bathhouses, along with laundry facilities and a spacious arcade, make this park one that you’ll never have to leave. 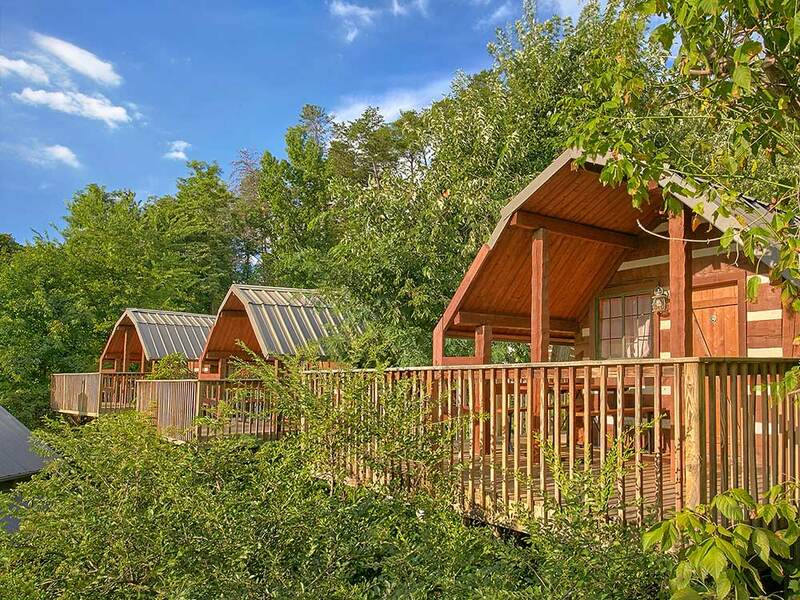 Riveredge lodging has something for every kind of camper, including cabin rentals. In lieu of tent camping, Riveredge has 21 camping cabins. Each cabin has a full-size bed, along with a set of bunk beds, a micro-fridge, TV, and microwave, and of course heat and AC units. Guest should provide their own bedding, and use the five-star bathhouse. Camping newbies never had it so good. The one-bedroom furnished log cabins provide all the comforts of home, but with mountain surroundings. Guest can enjoy a fully equipped kitchen, with dining area. Downstairs in the living area, you will find a sleeper sofa, a half bath, and jacuzzi. While upstairs has a queen size bed and a full bath. Enjoy the warmth of a gas fireplace after a day of sightseeing, shopping, and dining. 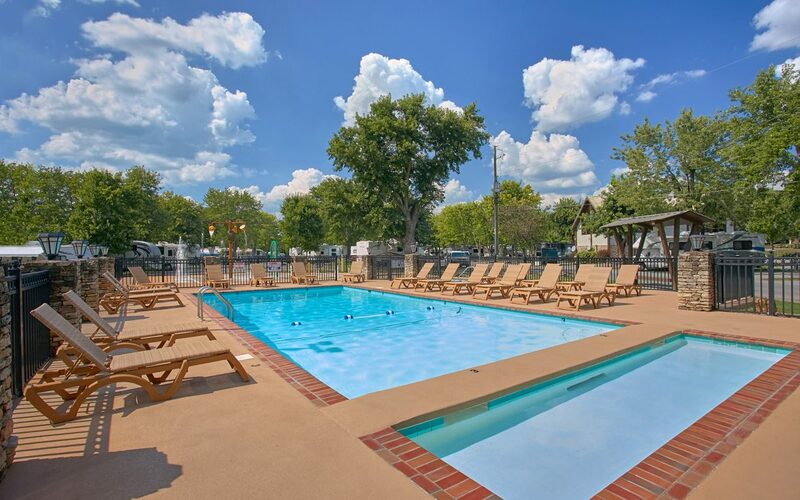 All the amenities of the park are yours to delight in. Want even more? The newest addition to their line of accommodations are the two-bedroom Park Cabins. These quaint, but roomy two-bedroom, one- and one-half bath, and two comfortable queen beds are sure to surround guests in the camping atmosphere while giving plenty of comforts of home. Fully equipped kitchens, utensils, and linens are provided, just to make your travel checklist a little shorter. Each Park Cabin has it’s own patio, perfect for sitting and relaxing, whether it be in the warm sunshine, or on a cool brisk autumn night. For over 45 years, the Huskey brothers have been inviting guests to experience the serenity, and beauty of their little piece of heaven, known as The Great Smoky Mountains. The Premier Smoky Mountain RV Resort! 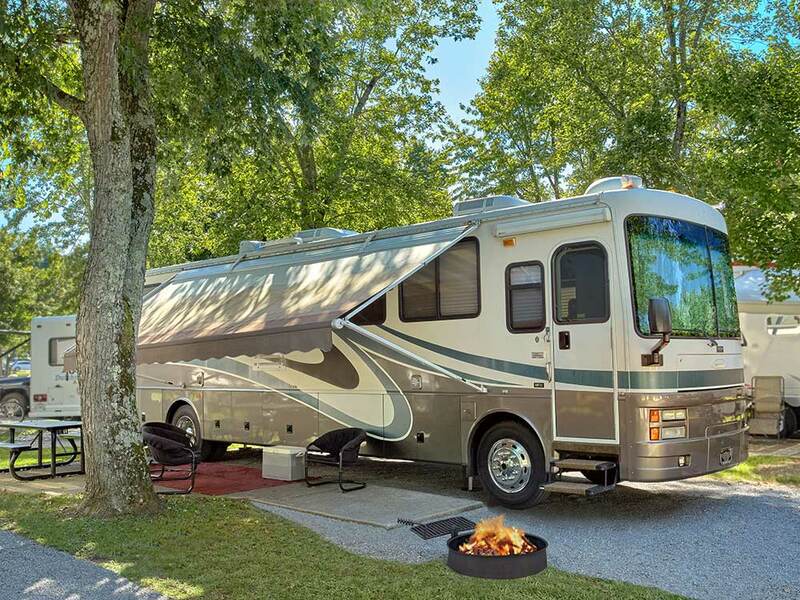 Let Creekside RV Park Relax You and Pigeon Forge Entertain You!